Welcome to the MZ Relay for Life Team Website! Click HERE to view Relay for Life photos. ​All supporters are appreciated for volunteering their time and for offering monetary support to help defeat cancer! . We appreciate your generosity and prayers to help find a cure for cancer and save lives. Your presence at fundraising events also provides encouragement to those battling the disease. ​All proceeds benefit the American Cancer Society. During the annual Relay for Life event at Currituck County High School in Barco, North Carolina, hundreds will walk the track, offer entertainment or speeches, and sell food and items to benefit Relay for Life. Look back at past year's and VISIT Past RELAY FOR LIFE PHOTOS. 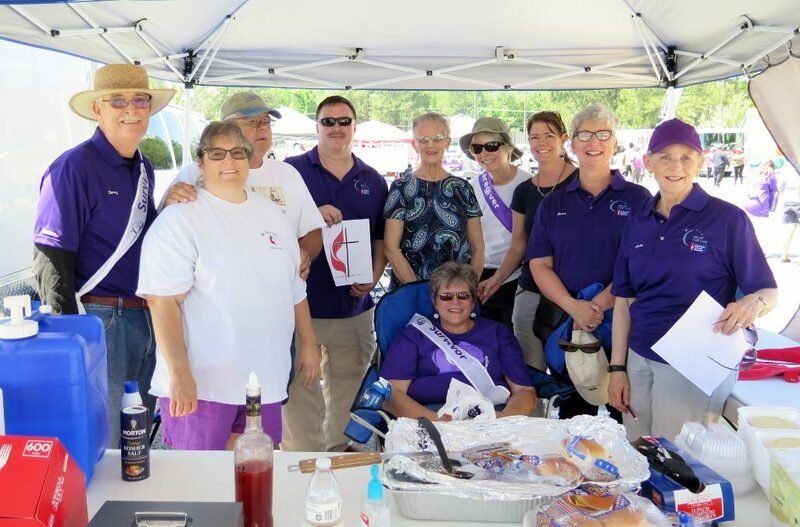 Currituck County Relay for Life Teams offer food & fun while raising money for cancer research and offering a supportive community. Some of the 2016 Relay for Life Team members. Luminaria Forms are available for donations in honor of or in memory of loved ones. At twilight during the Currituck County Relay for Life event they are lit during a special ceremony and light the way of remembrance and of hope for the future. Mailing: PO Box 648 Grandy, NC 27939 / Telephone: 252-453-3559. We invite you to join us for Worship 11:00 AM Sunday mornings and to help us support the annual Currituck County Relay for Life event by your participation in fund raising or in personally helping to "walk the walk" at the county-wide event! Visit us at www.mtziongrandy.org to learn more about our church and ministries. All photos on this website are copyrighted to Mt. Zion United Methodist Church.